Our first seal of approval. We said it would be hard to get Men’s Finest Seal of Approval, but, for a winter season brew, Granville Island Winter Ale is our brew of choice. I’m a Seasonal Ale brewed in Canada. 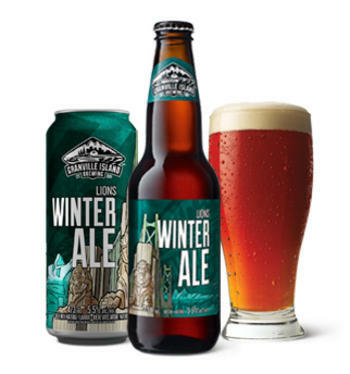 Our winter ale is as bold as the mighty lions that overlook the coast. With robust notes of cocoa, caramel and vanilla, it’s the ultimate winter warmer. A perfect complement to comfort foods and cozy fires. So get out of the cold and into the bold.